Go green with GoCart! 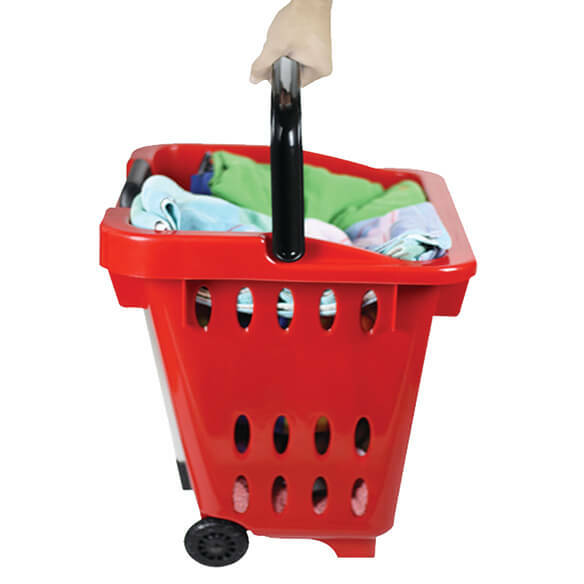 With this eco-friendly rolling basket, you can shop without flimsy plastic bags. 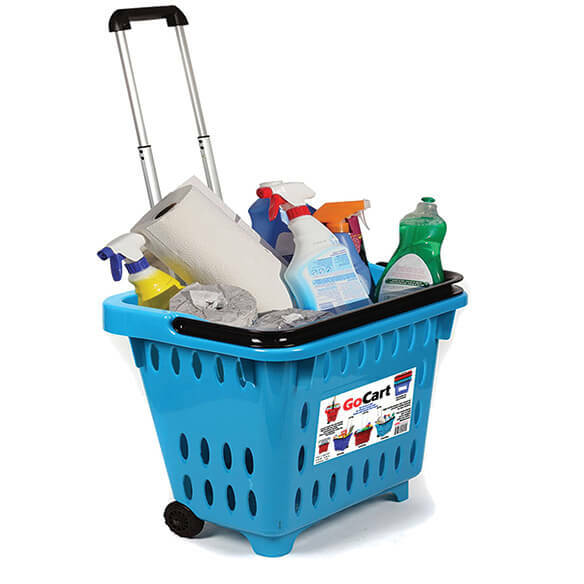 Easy to use and made to last, with a sturdy handle, heavy-duty wheels, and a telescoping handle to reduce stress on your back and joints. 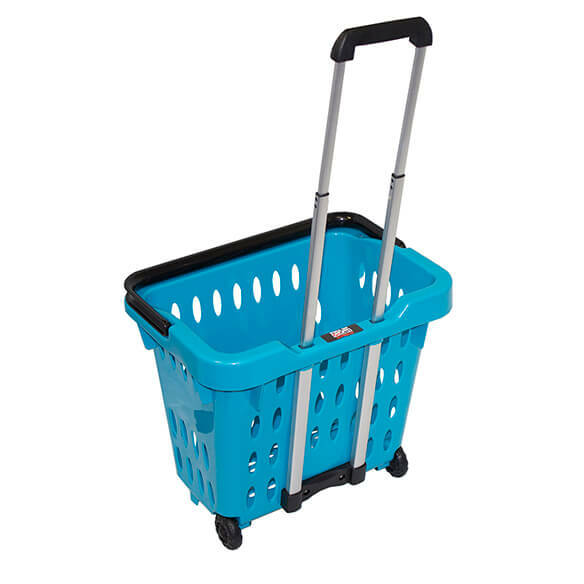 Perfect for shopping, laundry, carrying cleaning supplies and more. 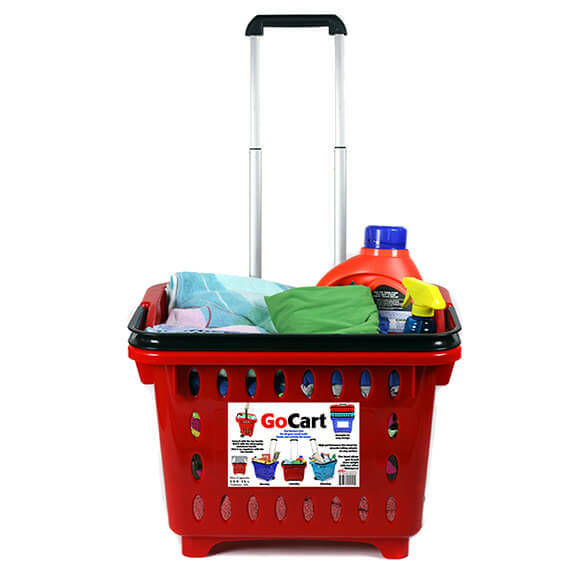 GoCart neatly stacks together for space-saving storage — stock up for all your shopping and household needs! Moves up to 100 lbs. Hope it will provide easier transportation for gardening tools, picnic supplies to the back yard etc. etc. We will see. I chose this cart to bring my groceries from the car. What is the length of the handle fully extended from the floor?